During these months, the elective course “Success Factor Happiness” in the Master International Business study program at MBS is being conducted for the fifth year in a row. Uncertainty regarding future professional life, the fear of not being “good enough”, the constant fight against dependency on the smartphone and other reasons, such as plain curiosity, have led to a situation where most students of a year cohort pick this course. 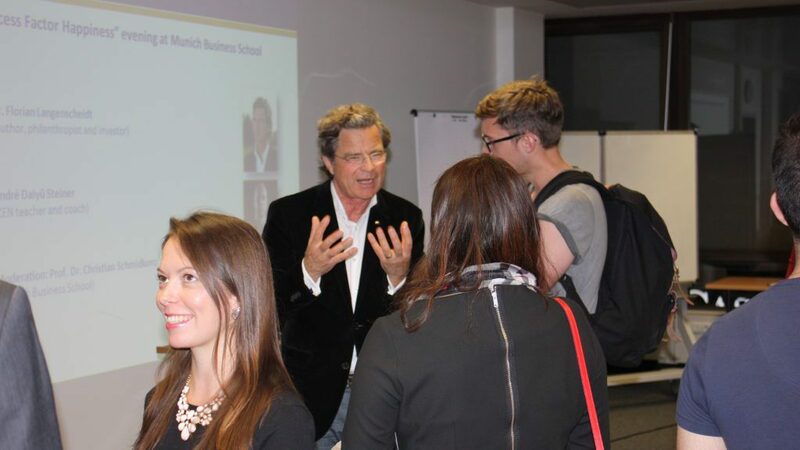 Several hundred students from all over the world have thus familiarized themselves with the subject “Happiness” in all its aspects at a business school; a subject that offers a journey rich in experience each year – for the students and, of course, for the lecturers, too. These are particularly intense weeks during which the participants seek out what makes them happy, what the meaning of their lives might be, the implications for their future careers and what they themselves can contribute towards leading the happiest, most fulfilled and meaningful life possible – without exposing themselves to the distress of “having to be happy”. 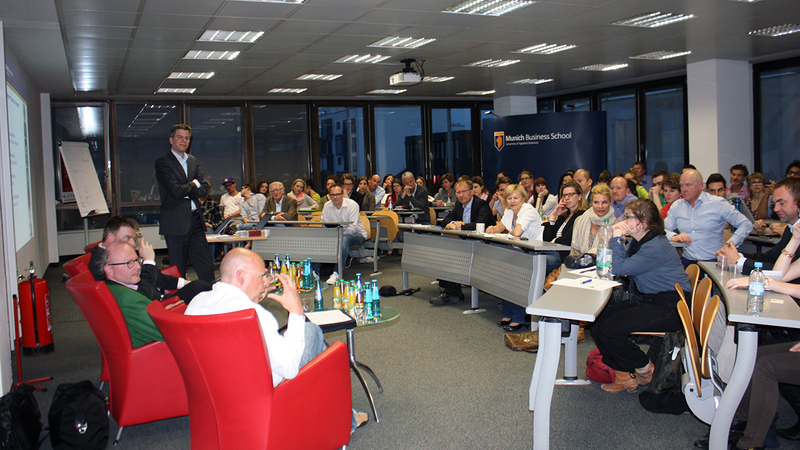 The first “Happiness Evening” at MBS featured Wolf-Ingomar Faecks (CEO Sapient), the philosopher Prof. Dr. Michael Bordt SJ and Zen teacher André Daiyû Steiner (seated, f.l.t.r.). Five years ago, the course was designed from scratch and for the first time. In addition to the theoretical elements, great emphasis is placed on exercises. High-caliber guest lecturers contribute their share to making happiness perceivable from a large array of perspectives. And in a final step, the annual “MBS Happiness Evening” makes the course available for non-participants, too. So far, none of the students have ever had the opportunity to look into this very fundamental topic of life and work during his or her studies. Only very few students have – to varying degrees – set out in search of happiness in their private lives. For example, they meditate or have read a book or two about the topic, use an app or even practice one of the exercises from the course. 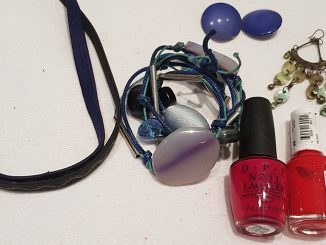 For the lecturer, this mix is great, because the more experienced ones contribute as “ambassadors from their own inner circle” to everybody gaining more confidence in opening up to the topics that may seem unusual at first glance. 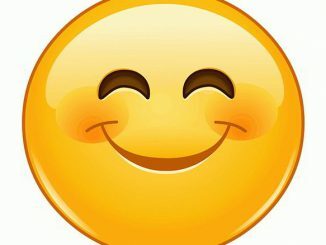 The newbies, in turn, are very grateful to learn new approaches that help them to attain happiness in their lives, and the ones that are more advanced are thankful about suddenly finding themselves among a like-minded bunch. It is highly popular among students to go to the gym or to do any other kind of sports. They are slightly shocked when they realize that they are doing a great deal for their physical health, but only very little for their mental fitness. Thus, exercises are the centerpiece of this course. During each unit of the course, at least one exercise is introduced that turns presented contents into a personal experience and can be applied outside of the MBS context at all times. Therefore, the assignment at the end of the course is to write a self-reflecting essay about the experiences gained during the exercises, thus documenting each participant’s outcome of the course individually. Experience has shown that these offers are very openly perceived and tried out. Many students request even more exercises, particularly in the classroom, to enable them to have an immediate exchange of ideas. The classroom is a “Digital Detox Zone” and every unit starts with a “Check-in”. This ensures that all participants are consciously present in the room, opening up to course content and exercises, thereby creating a general atmosphere of emotional security for each individual. 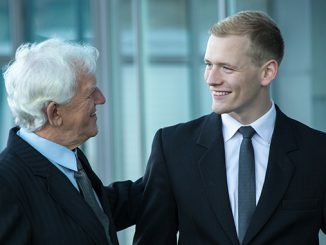 The experience of the course differs a bit for each participant, but still – and for this very reason – creates impressive moments in the classroom, “Magic Moments of Connection”, which can create a lastingly different dimension of communication among the participants that may “resonate” for a longer period in their everyday lives. For some, the course has indeed had a lasting effect regarding job selection. Some consciously decide not to apply for jobs with specific companies that do not place value on the topics addressed in the course. Some get their jobs precisely for the reason that they have been involved in important topics concerning happiness and higher purpose that are also important for the company. Many of the alumni of the course report how their take-aways from the course have helped them attain mindfulness, gratitude and compassion in their professional life. It is expected that these effects will further increase in the future in view of a changing working world. The students of the first year course were still sailing in calm waters and possibly just saw the incoming “wave of mindfulness” appearing on the horizon. Today, they are the first ones surfing this wave. An increasing number of people outside this course have expressed interest in its content. Topics such as happiness, mindfulness, compassion and gratitude are meeting with an ever-increasing resonance in society. Of course, the contents are communicated externally through presentations and workshops. The annual “MBS Happiness Evening” has also made it possible to invite “external surfers” to MBS. 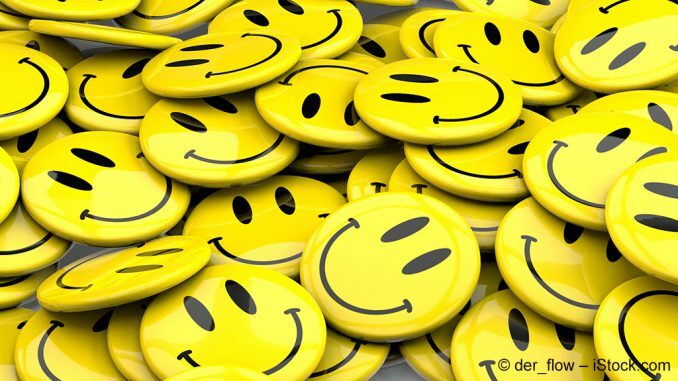 During the first year, for example, the philosopher Prof. Dr. Michael Bordt SJ, Wolf-Ingomar Faecks (CEO Sapient) and Zen teacher André Daiyû Steiner spoke about the role of happiness in life and its meaning for work. 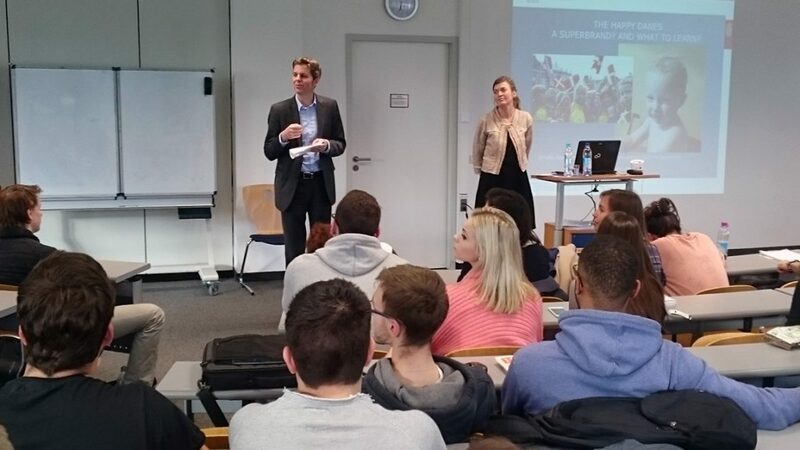 In the following year, Dr. Florian Langenscheidt visited MBS for the first time – and has since been a regular guest lecturer in the course. During the third year, the Vice Consul of the Danish General Consulate in Munich, Emilie Norman, discussed the question why the Danish keep winning the ranking for the “happiest people on earth” over and over again. In the past year, Raphael Fellmer inspired the audience with his presentation about a life without money, about his approach to find meaning in life – and about selling surplus food that would have gone to waste with his company Sirplus. This year’s subject will be “Great(est) Places to Work“, and two representatives from the winner companies will discuss the subject of “Happiness at work“. 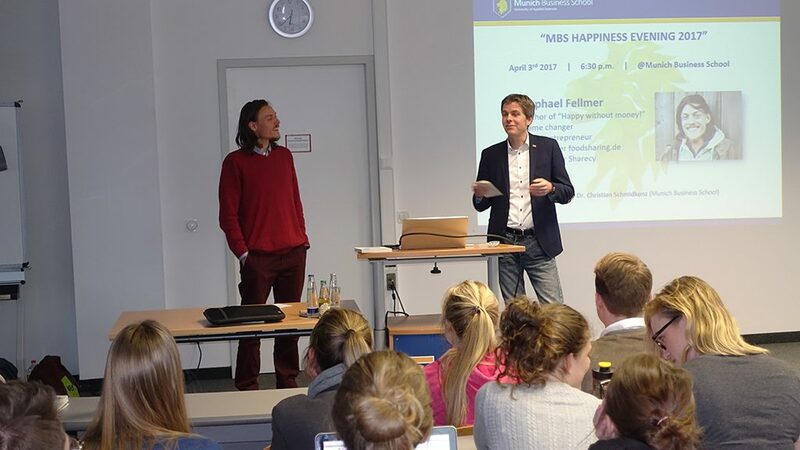 The “MBS Happiness Evening” guest speakers: Dr. Florian Langenscheidt (2015), Emilie Norman (2016) and Raffael Fellmer (2017) (f.l.t.r.). Developments to the course are being made continuously. Students, for example, keep suggesting to conduct the course outdoors or to establish a regulars’ table. Last year, we combined these suggestions into a pilot with our first “Happiness Walk & Talk” – and this year, we will organize a very special walk. In addition, new courses, such as the mandatory “Conscious Business“ course in the MBS Master program, and various workshops have emerged from the happiness course. They are small seeds that we are planting, growing from little sprouts into something larger than the individual shoot. If our graduates are able to keep their cool amidst a constantly changing environment, if they can make conscious decisions and a positive contribution to spread happiness in the world, we are particularly grateful for having enabled that. 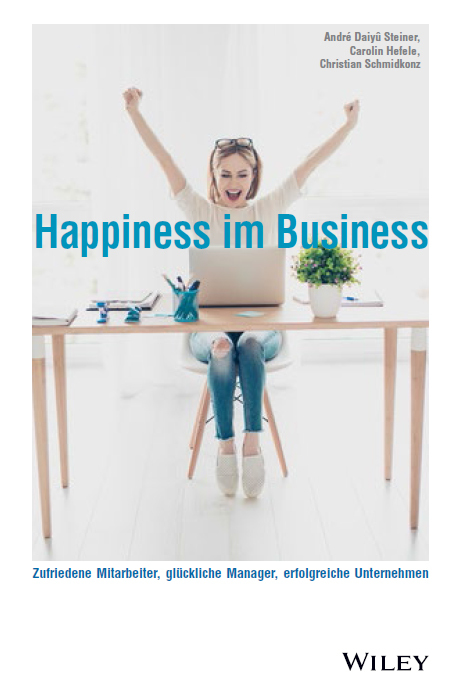 Just some weeks ago, the (German-language) reference book “Happiness im Business. Zufriedene Mitarbeiter – glückliche Manager – erfolgreiche Unternehmen” by Prof. Dr. Christian Schmidkonz, Carolin Hefele and André Daiyû Steiner has been published by Wiley-VCH. It is available here as hardcover and ePub version.